Over the years, the companies have relied on the stats to plan their next move, and this practice is not just limited to the tech giants but also to the young startups as well as SMEs, i.e., Small and Large-scale Enterprises. Now, we are witnessing an overwhelming amount of apps into our lives including both web and mobile apps. It has become a crucial activity to keep track of the Google Play store and Apple app store statistics 2018 as well if we want to make it big in our respective industry vertical. Before heading straight to the app store stats part, it is crucial to usher some light on the basics like defining an app store. An app marketplace is also known as an app store is a kind of a platform where the digital distribution of desktop and mobile apps takes place. Two of the main types of app stores are Google Play Store and Apple App Store, which are for Android and iOS platforms respectively. It is important to inform that these two platforms hold the majority of share in the market, that's why the stats will be in terms of Android and iOS app stores. We have previously discussed, why you need to transform your website into an app to give an instant boost to your business. Now, we will assist you in keeping a close eye on the stats of app stores, that will make your mobile and web app a success. Your app users can reach to your app through the means of cross-promotion, paid campaigns, organic search, social media, etc. but they all will arrive at one final destination, i.e., the iOS or Apple's app store to install the app. That's the part where the end-user can proceed with the installation of the app or just bounce back while not downloading the app. And if the user bounces off the app store without installing the app, then we have to look into the stats regarding the activity of the target audience. The above app store performance statistics is an estimation of the worldwide mobile app store revenue by the year 2020 with respect to the record of revenue growth in the year 2015 and 2016. The source of this estimation stats is Statista. There are different ways to monetize your app and earn revenue from it. Some of them are IAP (in-app purchases) services, advertisements and many more which we have discussed in our previous article on app monetization strategies. This is a forecast of the total number of mobile apps that will be downloaded worldwide in the year 2018 and 2022. The annual number of mobile app downloads done in the year 2017, were 178.1 billion and by the end of the year 2018, the yearly number of mobile apps downloads are estimated to reach 205.4 billion downloads. Facebook and WhatsApp were the most downloaded non-gaming mobile apps in the Google Play Store, with Facebook earning more than 130 million app downloads per month on a global level. The source of this forecast stats is Statista. This report from Statista is from the first quarter of the year 2018, which shows that Google Play has a more extensive distribution of free apps, i.e., 94.24 percent. Whereas, Apple App Store statistics 2018 indicates that the distribution of paid apps is almost twice than that in the Google Play Store. With these app distribution reports in app stores, I want to share some not-so-famous suggestion. If you're going to build an app and are not sure about the platform to choose from; select one of these two objectives: higher audience reach or greater ad revenue. In case you are looking to cover a large portion of the targeted audience then opt for the Android platform. But in case, your main aim is to earn higher ad revenue then go for the Apple’s App Store. The Apple’s App Store is a well-known platform where the end-users browser through hundreds and thousands of iOS apps and install the ones that please them the most or that matches with their requirements. With a total share of 24.86 percent, the gaming category is the most popular category in the Apple app store statistics. The non-gaming categories that rank lower are business, education, and lifestyle with a distribution of 9.77 percent, 8.5 percent, and 8.32 percent respectively. The source of this stats reports is Statista. This data informs us about what kind of apps are popular among the users and by what percentage. So, if you are looking to develop an app then go through in-depth demographics before finalizing an app category. The Apple App Store statistics on the average price of an iOS app is $1.02 in the U.S. dollars. And in comparison to this, the average game price is just $0.49, which makes the overall average price $0.89 in the U.S. dollars as per the Statista reports of the month of September 2018. These were the top five stats from the app stores like Google’s Play Store and Apple’s App Store. 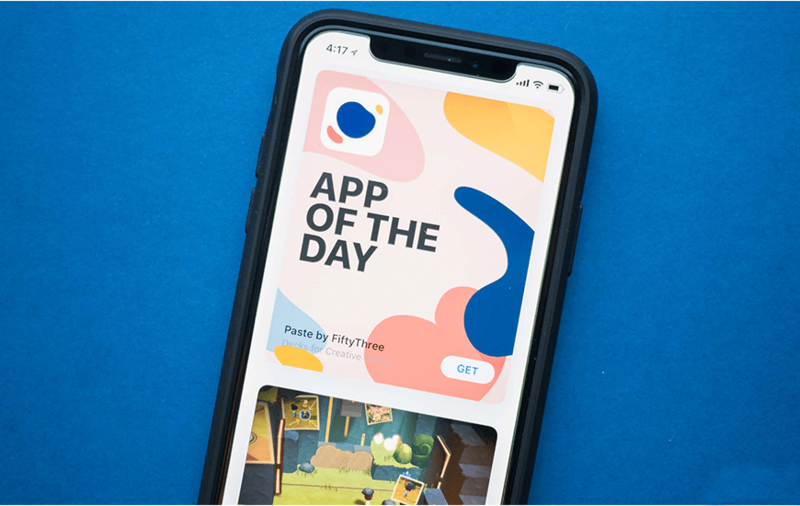 Mainly, we covered the stats on the Apple App Store revenue, annual mobile app downloads, the popular category in the Apple’s App Store, the average price of an app in the Apple App Store statistics, etc. Apple’s App Store and Google Play Store are the two widely known app stores, but like every other app store model, they also have their advantages and disadvantages. For instance, the Apple App Store is based on a model that involves Apple's hold over the quality of the iOS apps and ensuring their compliance with certain predefined standards. In comparison to Apple, the app publication process of Google Play Store consists of a lesser number of guidelines to follow by the app developers for submitting their Android app. But this also has a negative side to it, as the app developers can publish apps faster, the number of malicious apps has also increased in the store leading to a major issue. In six months, the iOS app developers are said to have earned more than $100 billion in terms of app revenue from the Apple App Store. As we are aware of the fact that more and more tasks are being completed with the help of our smartphones through our mobile apps; so it's high time that we focus on implementing a number of tasks via a single app. Because this is the level of efficiency, the users are expecting to witness in the coming future. Looking at some of the stats that are mentioned above, we are able to see how the preferences and requirements of the app users have evolved in just five years. Now, users prefer apps that are offer excellent user interface while providing innovative services as per the need of the user. App Referrers: These are those users who first visit your application's main product page from the link within another application. The app referrers can be easily optimized by focusing on your app's marketing campaigns with respect to app downloads and app store impressions. Web Referrers: The web referrers consist of the online sources like websites and blogs that have your app's link in their content. This plays a significant role in driving the user acquisition mainly through the PR. In the app analytics, the organic visitors and their terrific always hold more importance in app revenue. Users tend to spend more time on mobile apps rather than web apps. Google Play Store provides the most significant audience reach to the apps. Apple’s app store offers the highest ad revenue rate in comparison to other app stores. To generate higher revenue, the key is to focus on user engagement. Millennials age group is the group that spends the most time on the web and mobile apps. More than 80 percent of the people, use at least 3 to 5 apps daily for performing small tasks. A great UI first impression can increase user conversion rate by 30 percent. An app description with a video can increase your app installation rate by 20 percent. Hope that, with the help of this article, we have shared some valuable insights from the world of the mobile app industry, especially related to the Apple App Store and Google Play Store. Do not forget to check out the ‘News’ section of MobileAppDaily where you will find the latest and trending news on technology from all around the globe. Android Vs. iOS: Which Platform Is The Best?